On the ground floor there is a lounge / dining area beautifully furnished with colour television offering a full Sky package including all the usual English channels. There is also a CD player for your entertainment. The kitchen area has a large fridge / freezer, halogen hob, washing machine, microwave with grill, kettle, toaster, ironing equipment, and a full inventory of utensils etc. further to the ground floor there is also a cloakroom with toilet. a marble staircase leads you to the second storey where there are two bedrooms with fitted wardrobes and twin beds, the master bedroom having a large balcony, there is a large bathroom with toilet, bath, shower, and vanity units. Throughout the house there are ceiling fans and tiled floors for ease. 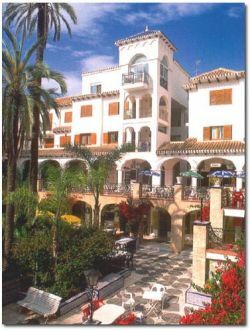 on the third storey is a large solarium and has sunbeds for your use. there are panoramic views leading down to the mediterranean.